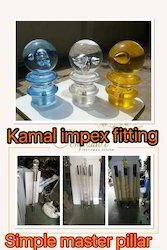 WE ARE IMPORTER FOR ACRYLIC ITEMS LIKE ACRYLIC ROD, ACRYLIC PILLAR, CRYSTAL MASTER PILLAR, ACRYLIC BALL ETC. crystal ball with led light etc . MANY COLORS ARE THERE . 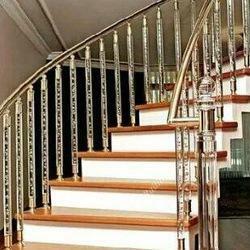 We are importer and manufacturing as per customers requirement for stainless steel baluster in arylic, steel , casting, etc . 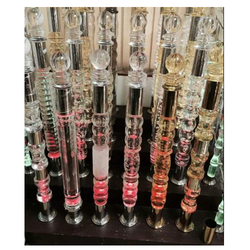 in all grade 202, 304, 316 .
we have undertake many malls, villas, bungalow, house, building , for railway station , and ma y others things we have used in supreme quality . 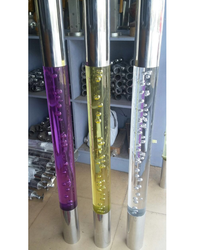 Our company is concerned with the manufacture, trade and supply of Stainless Steel Pillar that can be obtained in different beautiful designs and finishing. Applauded for their supreme finishing, impeccable designs and high resistance to corrosion, these lightweight pillars are massively sought after. To avoid damages, we offer the selection in safe packaging. 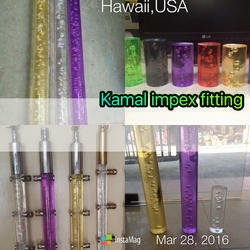 We Are Importer and Wholesaler for All Types of Arylic Items. Now the Business is Growing in Arylic Items . and Led . 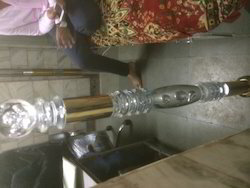 People Are Very Much Interested to Install New Items . Cystal ball with led light etc . 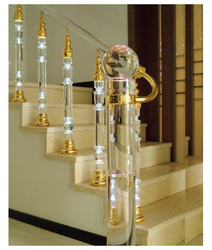 We are importer and manufacturer for arcylic rod and baluster with led light and also for crystal ball with led light fix in it . 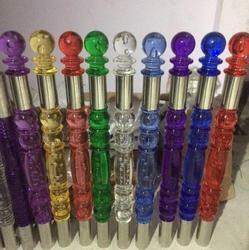 We have many colors in acrylic rod and many sizes are available with us . 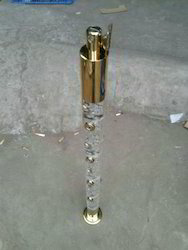 3/4", 2" and 3"
Our company has achieved laurels in offering SS Main Crystal Pillar to the clients. 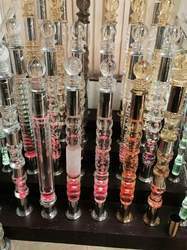 SS Main Crystal Pillar is assured to be high in quality and long life. This product is designed by skilled and trained professionals with the aid of high advanced machines in tune with set industry norms. Offered range is widely acknowledged for high strength and rugged construction. 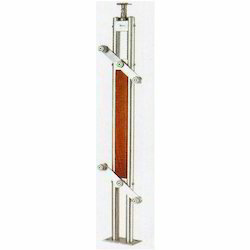 This product is hugely praised amongst the customers for unmatchable characteristics. Offered range is dispatched in quality assured packaging material. 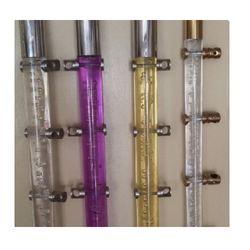 Dimension 2" , 3" , 4"
Many Colors Are There For Arylic Pillar . Red,pure White, Purple, Golden, Pink, Green, Coffee Color Etc. 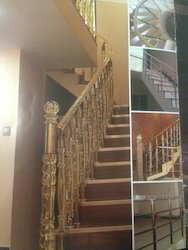 The Rate If For Whole Fitting Baluster .